JAMMU, JANUARY, 16: The Sericulture Development Department is adopting migrant colonies at Jagti in Jammu and Sheikhpora in Budgam district under Urban Mulberry Plantation Programme, which has already been launched in the Jammu Division. This was disclosed in a meeting chaired by Secretary Disaster Management, Relief, Rehabilitation and Reconstruction (DMRRR) Farooq Ahmad Shah. Under the programme, 2000 highly-improved mulberry plants will be planted in these colonies. The was informed that Mulberry Plantation at Jagti, Nagrota shall be conducted next week and the required plant material has been kept ready, while as plantation drive shall be carried out at Migrant Colony Sheikhpora Budgam in March 2019. 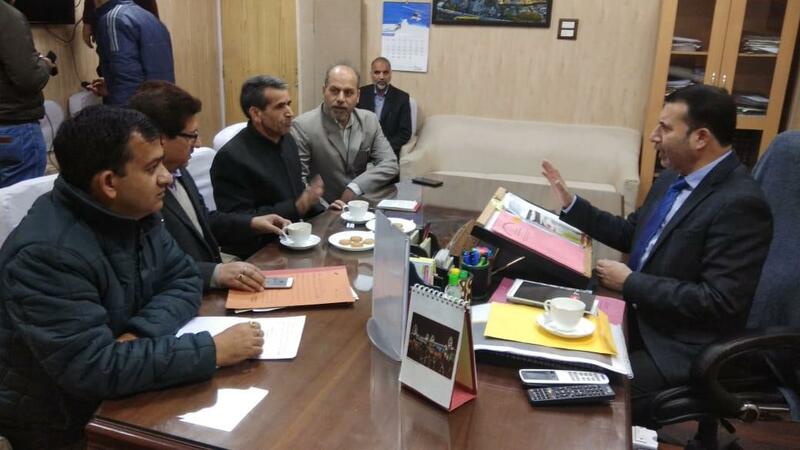 On the occasion, the Secretary asked Sericulture and Relief & Rehabilitation Departments to ensure proper upkeep and maintenance of the plants being highly ornamental and with high oxygen releasing property. He further asked both the Departments to explore possibilities of having similar plantations in other transit camps in both the divisions of the State. He also assured proper assistance of Relief & Rehabilitation Department for the conduct of urban Mulberry Plantation and protection of Mulberry wealth and said that the same shall also have economic returns in future for the dwellers of the colonies. The meeting was attended by Director Sericulture Gulzar Ahmad Shabnum, Commissioner Relief and Rehabilitation, M. L. Raina, Director Finance Relief & Rehabilitation, Zahoor Ahmad Wani and other senior officers of Sericulture and Relief and Rehabilitation Departments.